Im Rahmen des kommenden Kickstarter von AntiMatter Games soll auch die Erweiterung Grace Flynn- Tides of Forever für ShadwowSea realisiert werden. 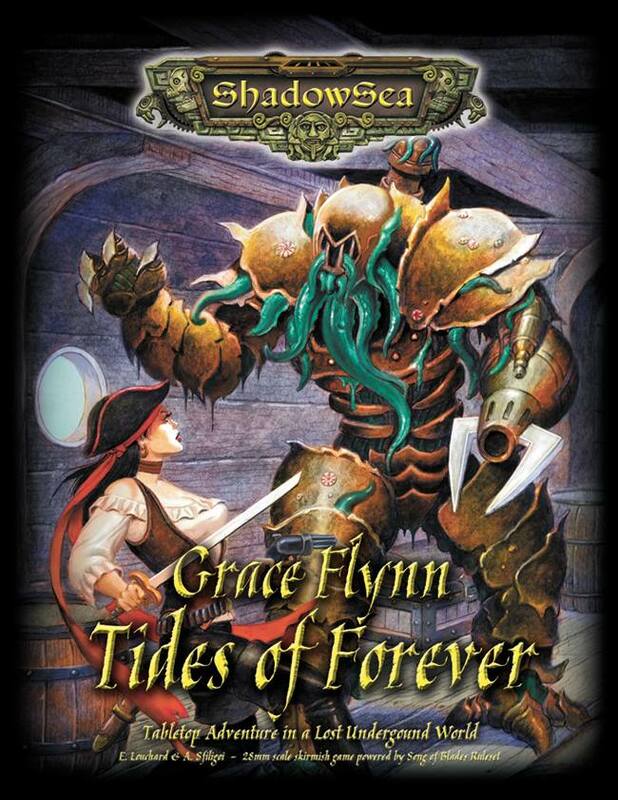 lso part of the upcoming Kickstarter is the new supplement for ShadowSea, Grace Flynn- Tides of Forever. Grace is the creation of P.L. McCall of Cathal entertainment and stars in numerous books of his, but this is her first game. This campaign book has multiple scenarios that are designed for solo play with Grace and her companions, Bloody Brona, Nereus Neptune and Seaton the Mariner. Enemies have their own AI rules and there is progressive advances as they survive the battles and accomplish objectives. The book comes with all of the rules and is quick and easy to learn. Miniatures are in poduction for the main characters and new creatures in the book, such as the Cyclops, Storm Dragon and Ripperclaw Lizards. Here is one of the stretch goals planned for the upcoming Kickstarter. 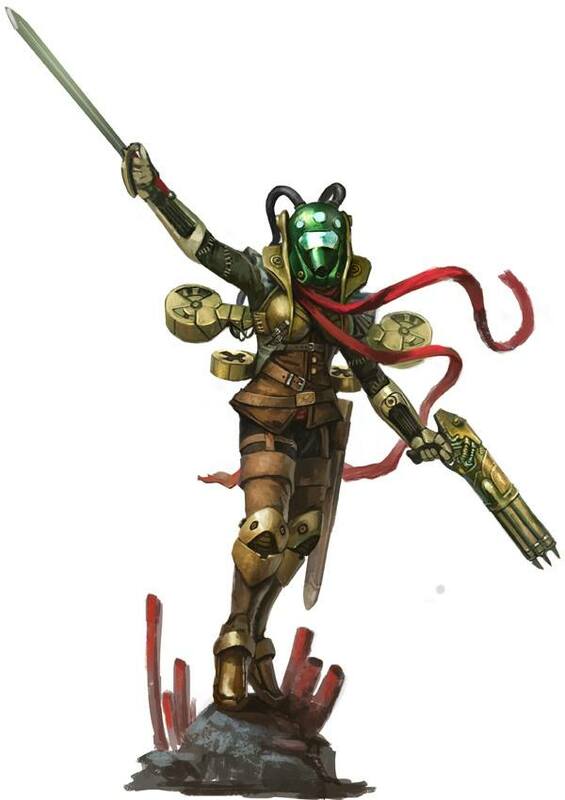 It is Captain Grace Flynn in a dive suit, ready for battle in DeepWars. Nils, Redakteur bei Brückenkopf-Online. Seit 2001 im Hobby, erstes Tabletop: DSA Armalion. Aktuelle Projekte, Eldar für Warhammer 40.000, Imperial MoW für Warzone, ein bisschen Shadespire und zu viele unbemalte Modelle.